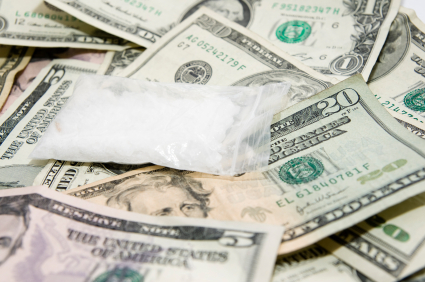 The price of Crystal Meth varies from state to state and city to city. Crystal Meth addiction will cost you as much as you are willing to give. What priceare you willing to pay for your Crystal Meth addiction? Your home? Your family? Your friends? Your health? Your life? On average, the price of Crystal Meth for a 1/4 of gram is $20. 1/2 of gram of Crystal Meth is $40 and 1 gram is $80. A 16th (which is a gram and 3/4 of a gram) is around $120.00 and an 8 ball which is 3 1/2 grams is $200.00. Meth addicts will change the way they behave. If you suspect that someone you care about is using meth, observe any drastic changes in their behavior. If they were once open and outgoing and now are closed off and secretive this is a sign of addiction. 1 in 5 meth labs are discovered because of chemical explosions. During the 1980's, "ice," a form of meth that can be smoked became popular. 20.4 million Americans over the age of twelve in 2006 were current (past month) drug (meth included) users.